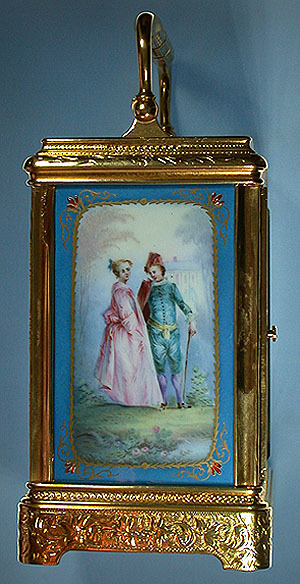 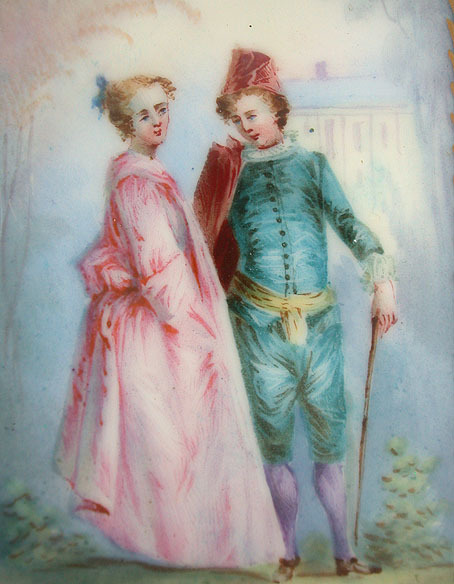 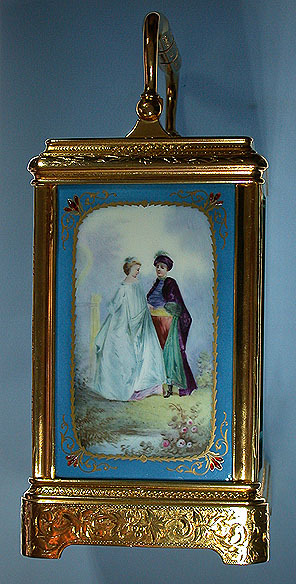 Fine and beautiful Drocourt gilt brass and painted porcelain bell repeater French carriage clock circa 1880. 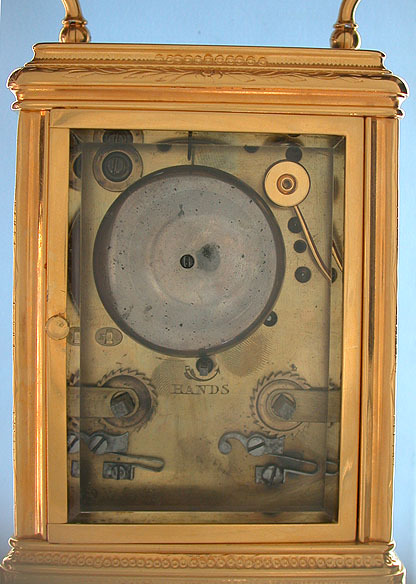 The george case engraved overall and with repeat button in the top. 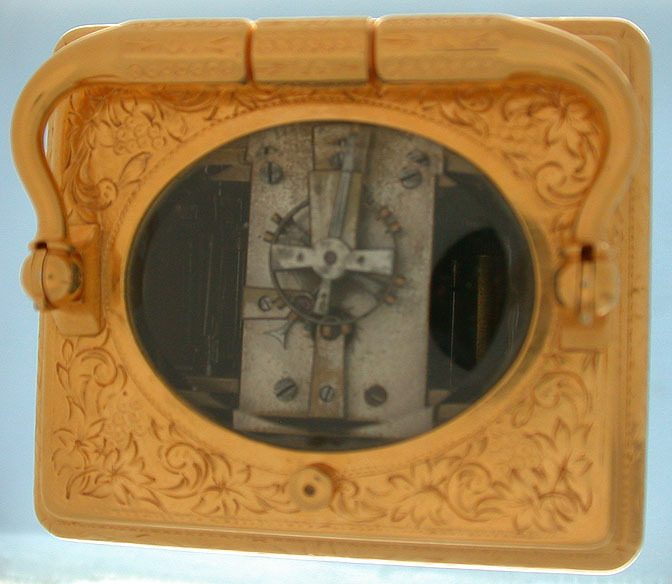 The dial and side panels beautifully painted; invisible hairline crack in the left panel. 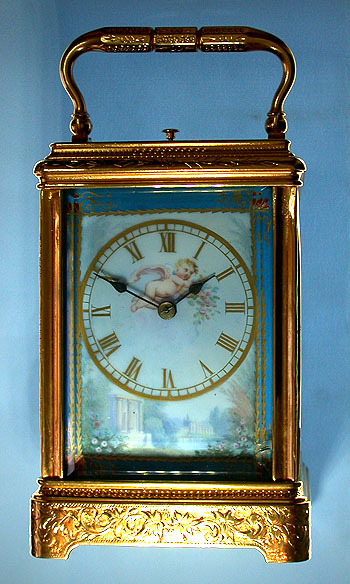 This lovely clock chimes the hours and half-hours on bell. 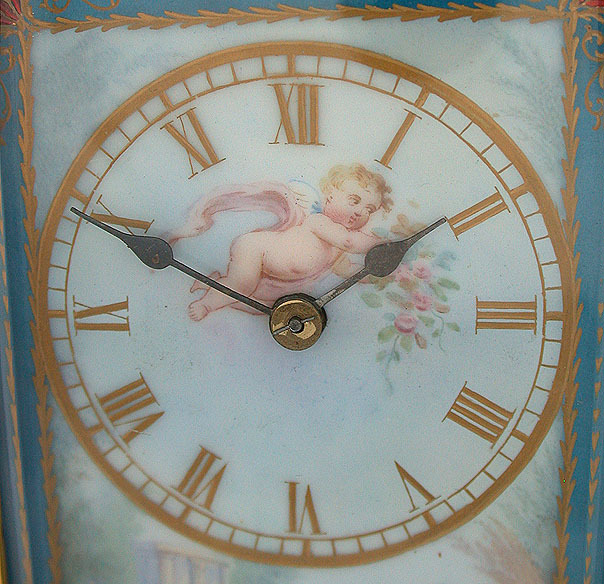 When the button is depressed, it chimes the time to the nearest hour with a clear tone.